I dont watch too many old movies, in fact I barely watch movies at all now that Im hooked on so many great TV shows! Growing up I watched plenty, and my parents showed me some of their favorites like Marx Brothers movies - those were awesome! I couldnt get enough of Groucho. My favorite flick was Duck Soup, and A Day at the Races.There are so many great scenes and bits they do - but they were also all musicals! It wasnt always my favorite part of the movies, but heres a clip from The Marx Brothers At The Circus. In the clip, Groucho sings about Lydia that Tattooed Lady. 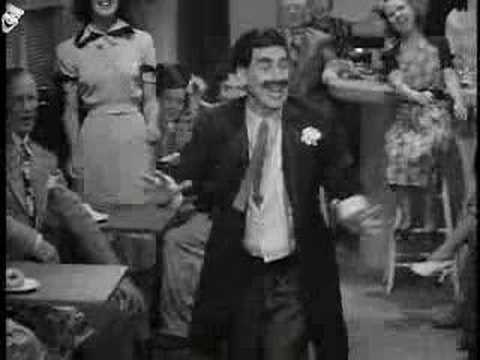 The first filmed performance of the song Lydia the Tattooed Lady by Groucho Marx from the 1939 film At The Circus. See how many references you can get. 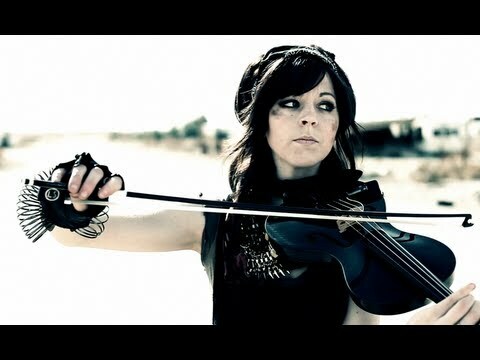 Violinist teams up with an acapella group in the desert for a cool video tribute to this Imagine Dragons 2012 hit.